Bacteria are microorganisms too small to see with the naked eye that exist in virtually all environments in the world. They exist in dirt, water, caves and hot springs, organic materials like fallen trees and dead animals, and inside the bodies of virtually every living animal on earth. There are a wide range of pathogenic, or disease-causing, bacteria. They come in all manner of shapes, from spiral-shaped to rod-shaped to spherical. 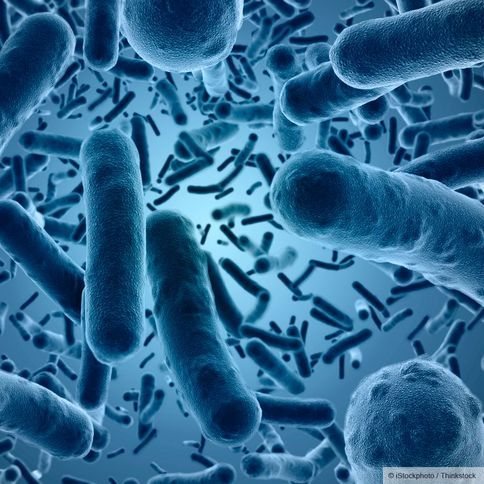 Some pathogenic bacteria can cause a host of very serious diseases, including pneumonia, meningitis, and plague, and some scientists believe that certain types of bacteria can even contribute to the development of cancer. Many sexually transmitted diseases are caused by bacteria, and super-resistant bacterial strains are increasingly in the news. Fortunately, not all bacteria are harmful. A number of the bacteria found in the human body have positive benefits for their host. They can help strengthen the immune system, help digest food, secrete hormones and chemicals and vitamins that benefit the health of the human body, and help regulate human metabolism. Some bacteria also fight off harmful bacteria, helping to prevent illness.